The historic city of Malacca is given a boost in authenticity through the restoration of some of the ancient walls that was unearthed two years ago. Not everyone thinks that the restoration is accurate, however. By some strange coincidence, I was also in Malacca this week and I took some pictures of the said walls and bastion. More on that next week. Now there’s another great reason – besides the food – to visit the historic town of Malacca! A new heritage trail has been created to highlight some of the town’s most prominent architectural features during the Dutch colonial era of the 17th and 18th century. One particular feature of note is the recently-excavated Middlesburgh bastion, discovered only last year during the construction of a tourist trap which has since been relocated. 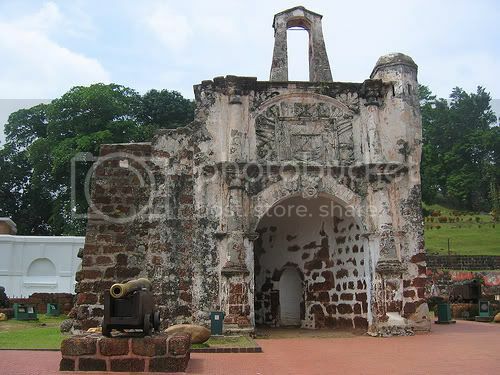 1 February 2007 (The Star) – The 16th century Portuguese fort of Malacca, A’Famosa, is slated for rebuilding, following the discovery of the Middlesburgh bastion late last year. Portions of the buried ruins of Fortaleza Dâ€™Malacca or the mighty Aâ€™Famosa fortress built in 1512 will be brought to â€œlifeâ€ for the world to see. About 350m of the buried walls of the fortress will be reconstructed stone by stone to its original dimensions of 8m by 5m, said Commissioner of Heritage Prof Datuk Dr Siti Zuraina Abdul Majid. She said the completed structure would encompass the cityâ€™s 11.3ha heritage site in Bandar Hilir. Presently, the department is using documents and paintings of the fort dating back to 1512 to determine its dimensions and design, but may require further documents from overseas sources. â€œWe might study the Galle Fort, which is fully intact in Sri Lanka, as it is a good example of how the fort would look like because they both share a similar history,â€ she added. 4 December 2006 (The Star) – I think this bit of news will bring much joy to the locals, who have been campaigning against the tower for some time. 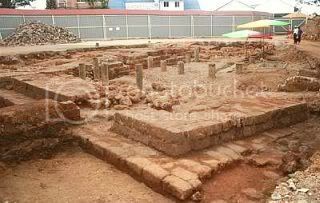 Researchers are excited by the discovery of part of an ancient wall at the construction site of the proposed tower in Malacca. They believe it could be the remnants of the watchtower called the Middelsburgh Bastion built by the Portuguese in the 16th century to monitor the movements of boats at the entrepot. Culture, Arts and Heritage Minister Datuk Seri Dr Rais Yatim will recommend to the Cabinet that the site be preserved and the tower moved to another location.